Even people with healthy smiles can be dissatisfied with how their mouths appear. When teeth are stained, discolored, misshapen, cracked, chipped, or have gaps or other minor misalignments, individuals hide their smiles and have difficulty speaking and laughing in public. If this sounds familiar, explore the cosmetic and restorative choice known as dental veneers. 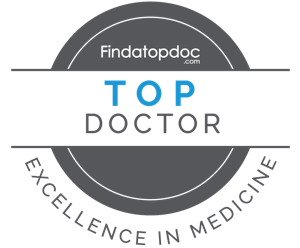 A skilled cosmetic dentist is the best person to evaluate an individual's health and cosmetic needs and to discuss solutions. They can help the individual decide if they are a candidate for dental veneers and how they can improve the look of the patient's teeth. Dental veneers, also called porcelain veneers or dental laminates, are very thin, tooth-colored pieces of porcelain which are glued to the front surfaces of teeth to improve their appearance and to strengthen them. The dentist uses a special adhesive to permanently place the veneer over the front side of the tooth. The result is a tooth that is has a natural color, pleasing and appropriate shape, and is more resilient. With routine dental check-ups and cleanings, plus proper brushing and flossing, dental veneers last for years. 1. 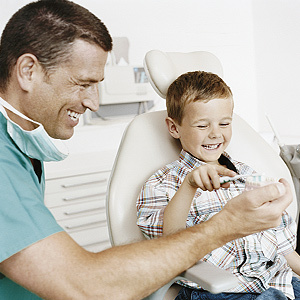 First, the dentist will discuss what the patient's goals and options are. 2. He will preform an oral exam and take x-rays or do other types of imaging to see if veneers will work. 3. With the decision made to apply veneers, the dentist does some preparation work by removing a very small amount of material from the front side of the tooth or teeth. This is painless and prepares the surface to accept the porcelain veneer. With some very thin veneers, little or no preparation may be necessary. 4. The dentist will take impressions and send them to a lab so the veneers can be custom fabricated. 5. At the next appointment, the dentist will prepare the teeth by cleaning and polishing their natural surfaces. After lightly abrading the teeth, he will use a special bonding adhesive to glue on the veneers. A hardening light completes the bonding process. 5. Finally, the treated teeth are shaped and adjusted. The dentist checks the bite to ensure the teeth are closing together properly. In a re-check visit, the dentist looks at how well teeth and gums are dealing with the veneers. What are the signs that you may want dental veneers? If you are self-conscious about a smile that stained from coffee, tea and cigarettes or if nature has equipped you with teeth that have gaps or are overlapping, you may want to explore the option of dental veneers. In addition, the shape of teeth can change over time, especially if an individual has excessive wear due to grinding. Dental laminates can address this, too. As a practitioner who is highly experienced in all aspects of preventative, restorative and cosmetic dentistry, Richard Hapgood DDS can evaluate whether dental veneers are right for you. Call his friendly staff for an appointment at his Andover, Maryland office: 978-475-2431.